There is now a fork of sgminer also available for mining the X16r algorithm used by Raven (RVN), so the coin is no longer in the domain of Nvidia miners alone. 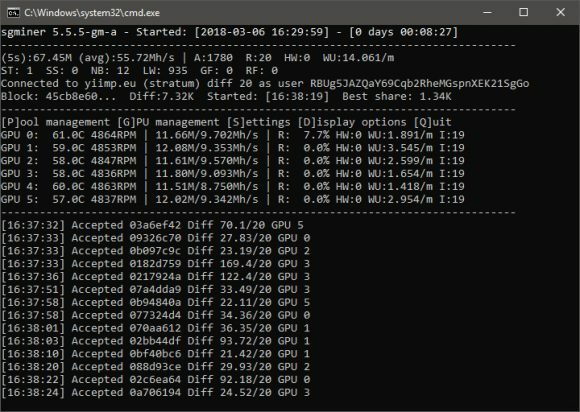 The sgminer-gm fork with X16R support by aceneun should work on most recent AMD GPUs such as RX 4xx/5xx series and RX VEGA just fine, we have not tested it on older generations, but it might be just fine for them as well. Do note that there is a Windows binary available and it requires you to have the 32-bit (x86) version of Visual C++ Redistributable for Visual Studio 2015 installed in order to run it. 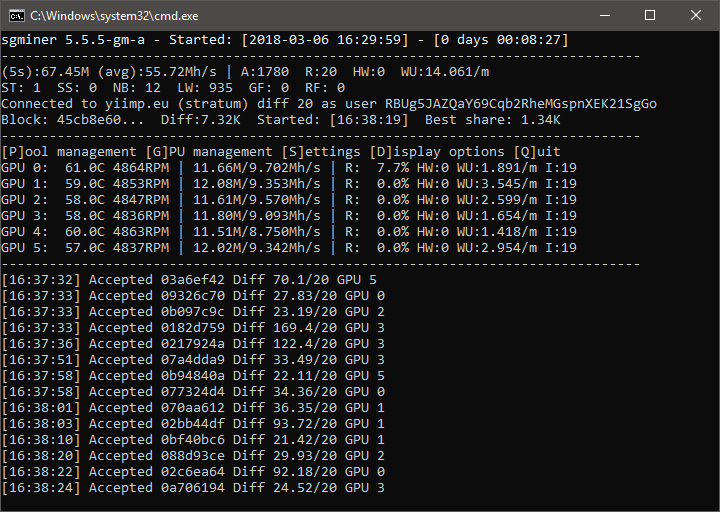 The performance you could expect from the sgminer-gm-x16r is about 5-6 MHS on AMD Radeon RX 470/480 or RX 570/580 series of GPUs, though the results can vary based on different clock settings. On an AMD Radeon RX VEGA 56/64 GPU you should be able to get about 10-12 MHS, though again results can vary depending on configuration and clocks. Performance wise it is not bad compared to what users are getting on their Nvidia GPUs, though the latest ccMiner Enemy 1.03 fork for Raven (RVN) does provide higher hashrate on Nvidia GPUs. Regardless if you are using AMD or Nvidia GPUs, mining Raven (RVN) might not be a bad idea at the moment as there is a lot of user interest and hype surrounding the coin and difficulty is growing. We are yet to see however how will things develop in the near and the not so near future with this coin as it may all end up with too much hype, but then again this could also end up being a gem for the earlier adopters as well. The difficulty of the coin has been steadily growing in the last few days and now with an AMD GPU miner available as well it will most likely continue to grow higher.